I have just spent a lot of time with this book translating it into Thai. It explains in detail the importance of the Father-Son relationship as THE model relationship for all the created beings of the universe. Why is it that God created the universe through His Son? Why must we go through the Son to approach the Father? Why is Christ the Wisdom of God? Why is the government on Christ's shoulders (Isaiah 9:6)? These are not just speculative questions to satisfy our curiosity. These are things that God wants us to consider. The answers helped contribute much to my peace of mind, as it allowed me to rest ever more fully in my Lord Jesus Christ and through him to praise and honor my Father in spirit and truth (rather than confusion and doubt). Jesus never honors himself, he does only what His Father would have him do. As a child imitates his parents, so may we imitate the trust and faith of Christ, who alone knows in all infinitude how God, His Father, is love. 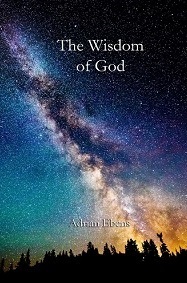 In this book is opened up great insights into headship and submission, blessing and honor, as represented by God the Father and His only begotten Son. It is the spirit of Jesus's perfect submission that we need. We want to enter into their perfect relationship so that we may have blessed relationships with the people that we interact with in our lives. "All things are delivered unto me of my Father: and no man knoweth the Son, but the Father; neither knoweth any man the Father, save the Son, and he to whomsoever the Son will reveal him." Matthew 11:27. With this understanding we may be a part of the Heavenly family, partaking of the holy friendships and associations of angels, and impart light and life to those around us. This is not merely spiritual idealism. God has shown us the principles of how we are to relate to each other in human history, in contrast to Satan who refused to accept such a system and felt that an individual's value should be on how successful he himself is in achieving his own will. He refused to recognize that all goodness and truth and life come from The Father (James 1:17). Instead he wanted to find value in one's own abilities and talents would only prove to be empty in the end, and it is his fallen mind that we have inherited in our carnal nature - a lesson that man often learns all to late. 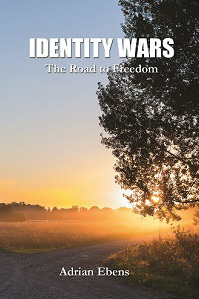 The author proceeds to describe how the principles of the two kingdoms (God's and Satan's) play out on Earth. Nimrod is the first city builder, the great warrior, who through sheer force of self-willl builds Babylon and causes people to worship him. He is the first to have a government of the state with him as dictator, ruling over territory; rather than tribal government based on a chieftain as head of a family, which is all that existed prior to him. The consequences of his actions would be dramatic and longlasting. In response God calls on Abraham, the father of faith, together with his loving wife, to come out of Babylon and rebuild a holy family government that reflects and honors God. In this book are the seeds and genesis of many of the other books. I believe you can get a good sense of the author's message through reading this book first. That is why I decided, of all the books I could have chose, to translate this one first. May you be abundantly blessed as I have been by this work. In the light of my tenth wedding anniversary, I decided to (re)read this book. While the book focusses most on marriage relationships, the principles it presents are relevant to all of our relationships. This book answers the question of why human relationships are so often the source of frustration and pain and what the antidote for this is. 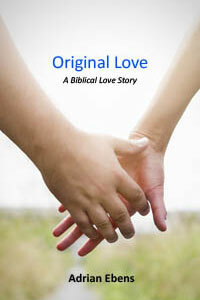 In this book you will learn about Agape, which is the real love; the "original" love. 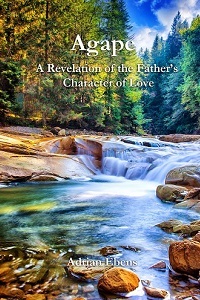 Agape is perfectly reflected in the Father and Son relationship, and God's plan was for the beauty of Agape to also be reflected in the marriage relationship. You will learn how Satan marred it all by introducing "Eros", a selfish, false kind of love- making it the default type of "love" in human beings. 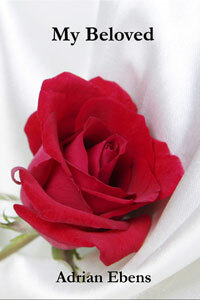 You will also read how God has gone about to restore Agape in His people. As I read, I sometimes felt uncomfortable, as it's not pleasant to admit that we are by nature selfish, self-seeking and self-centered. But if you're willing to swallow your discomfort and read on, you'll find there's hope of restoration, and a renewed vision for your relationships. You won't view your marriage the same way after reading this and you will have gained a new appreciation of God, who is truly Agape.